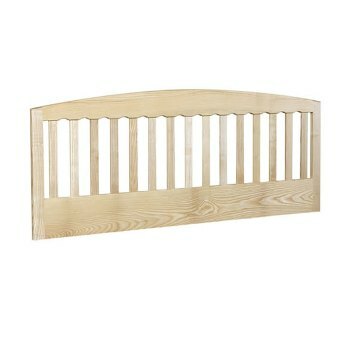 Hastings slatted 4ft wooden headboard. The Hastings small double 4ft contemporary solid wooden headboard features a very attractive yet simple slatted design that would compliment any bedroom setting. This headboard is created from solid ash and available in a selection of stained finishes including natural Ash (shown), light or dark oak, mahogany, white and light or dark cherry The Hastings slatted headboard is available in 5 sizes; single, small double, double, king or super king and will suit any traditional styled bedroom.